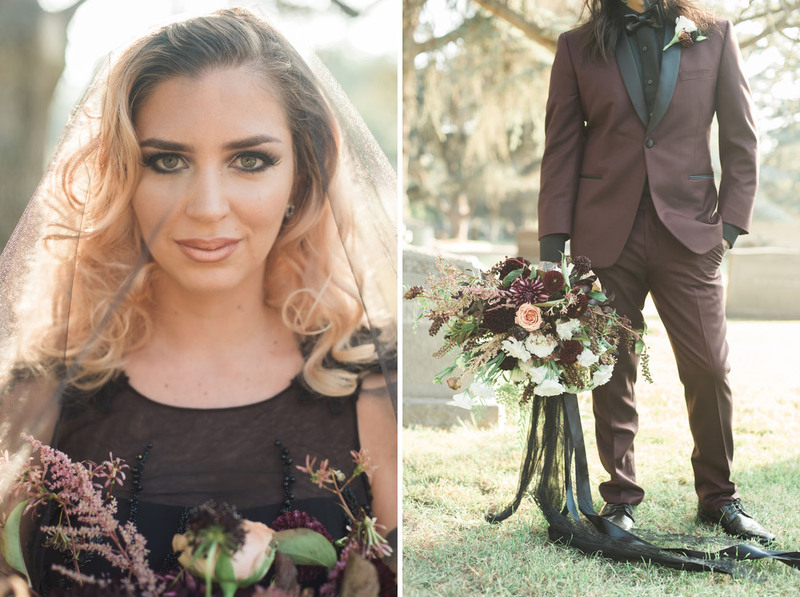 In honor of Halloween, we’re sharing an eerie sort of editorial today… Marrying exquisite beauty with a morbid + morose reminder, this ’Til Death Do Us Part styled shoot is other worldly. 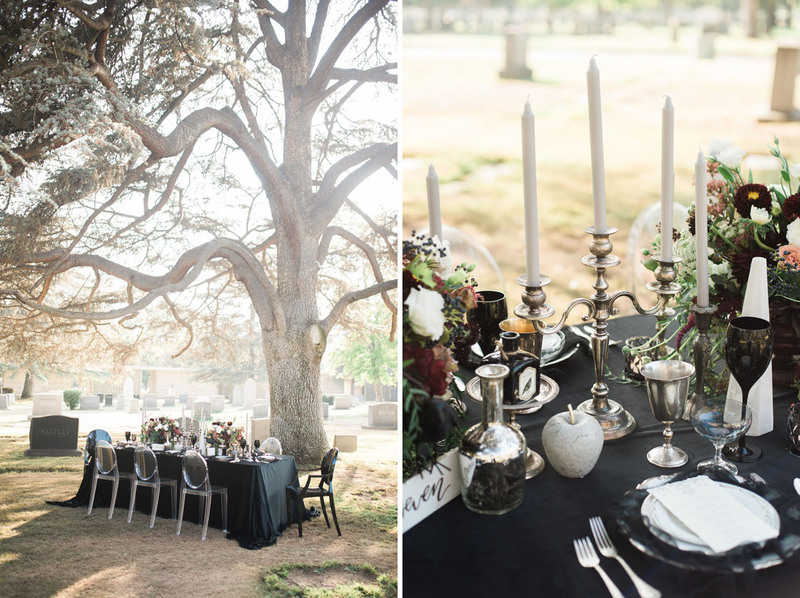 Designer + planner Vanessa Michelle Co. wanted to explore the polar opposites of life and death, highlighting the fact that you can’t have one without the other. 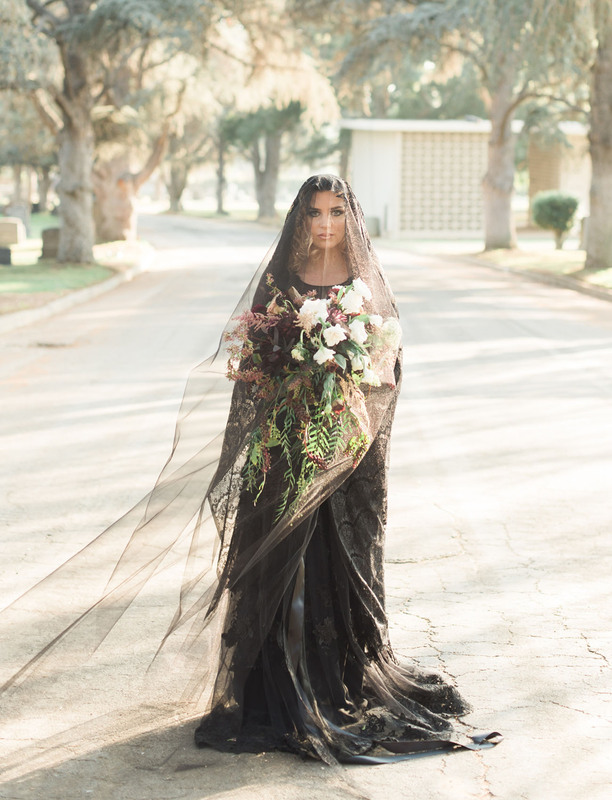 To set the scene, she and her team of creatives headed to Mountain View Cemetery in Altadena, California. 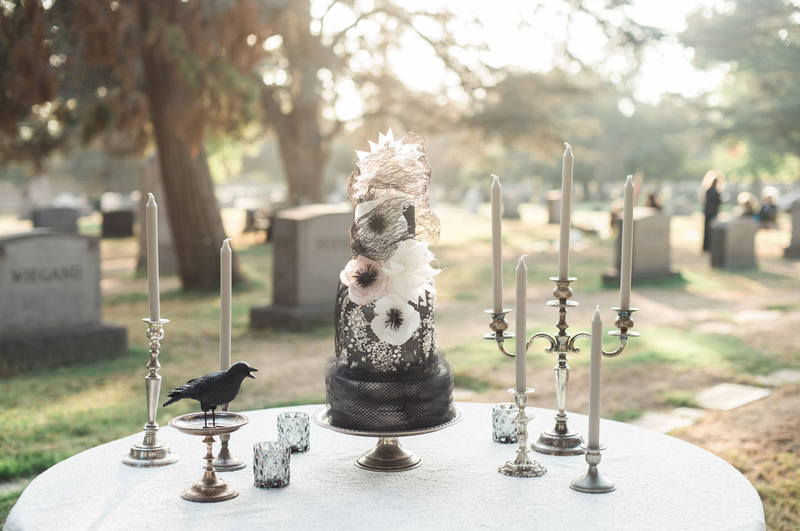 Vanessa shares Tones of black, textures of velvet, ravens, ghost chairs, lace, and vintage silver served as our main pieces. 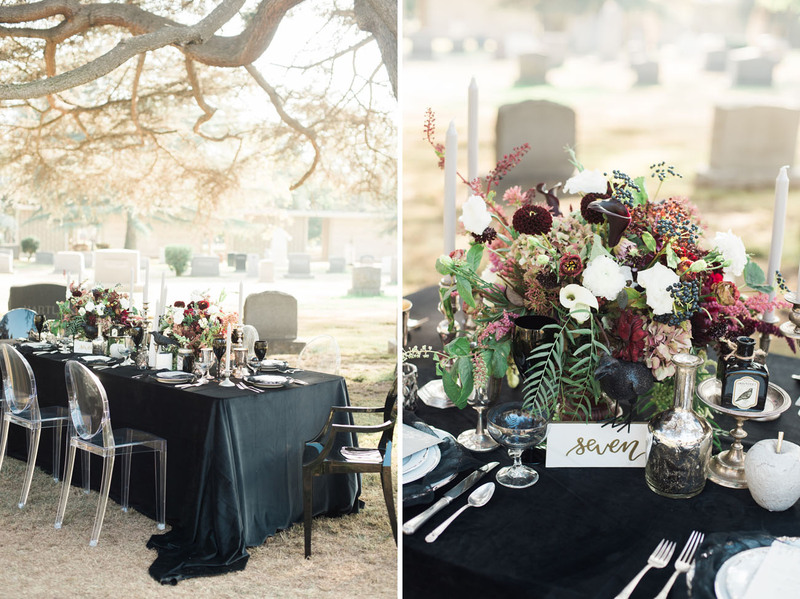 Adorning all of it with a gauzy material truly brought this styled shoot to life. 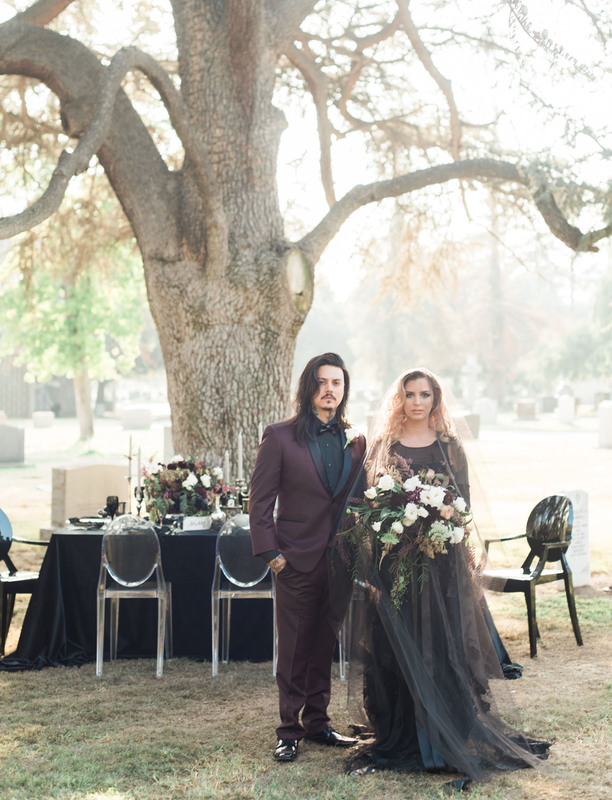 After I got this idea in my head, I couldn’t shake it – all I could envision was a gorgeous black wedding gown whisking across headstones… Photographer Lorely Meza totally captured that vision! 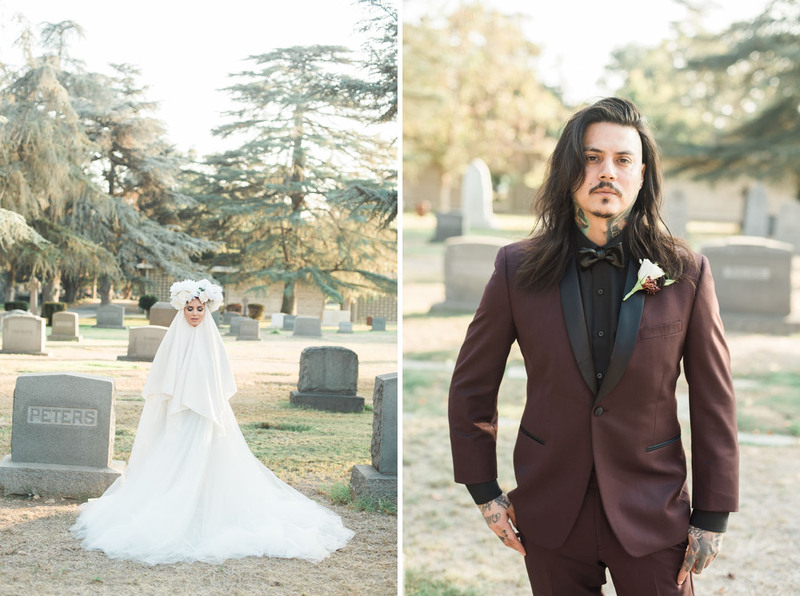 We’re *dying* to see these photos… Let’s take a look, shall we? 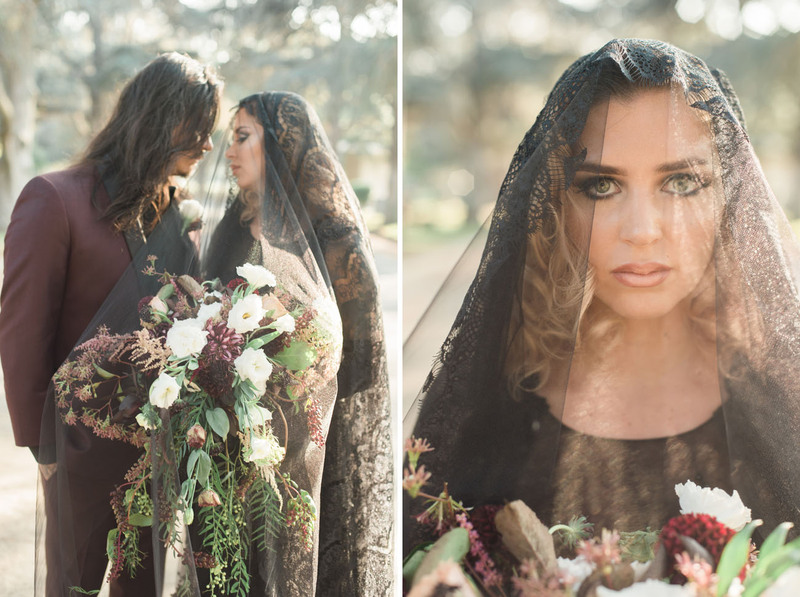 Makeup by Aracelis Ferrer really highlighted the bride’s gorgeous features and Adrienne’s Artistry crafted some awesome curls! Serious WOAH. 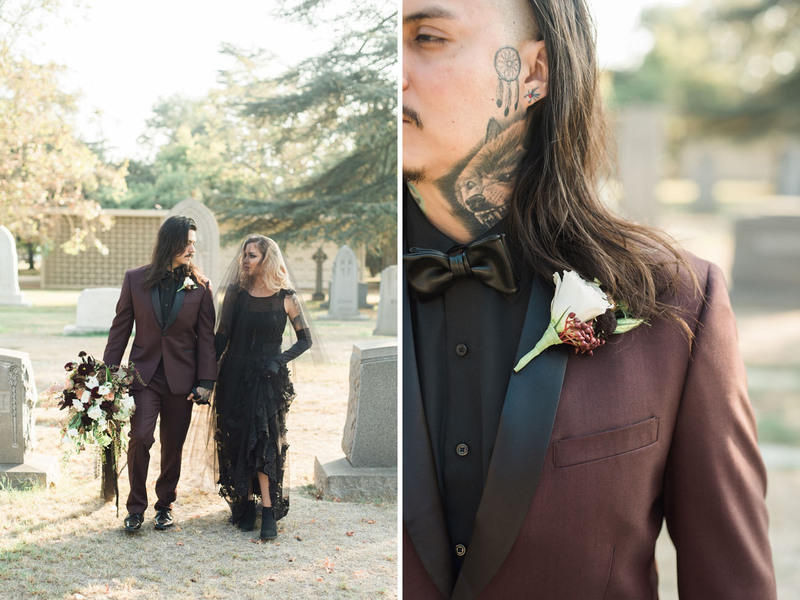 That black lacy dress is by Tony Ward; and the groom is looking so dapper in a dark burgundy tux from Friar Tux. 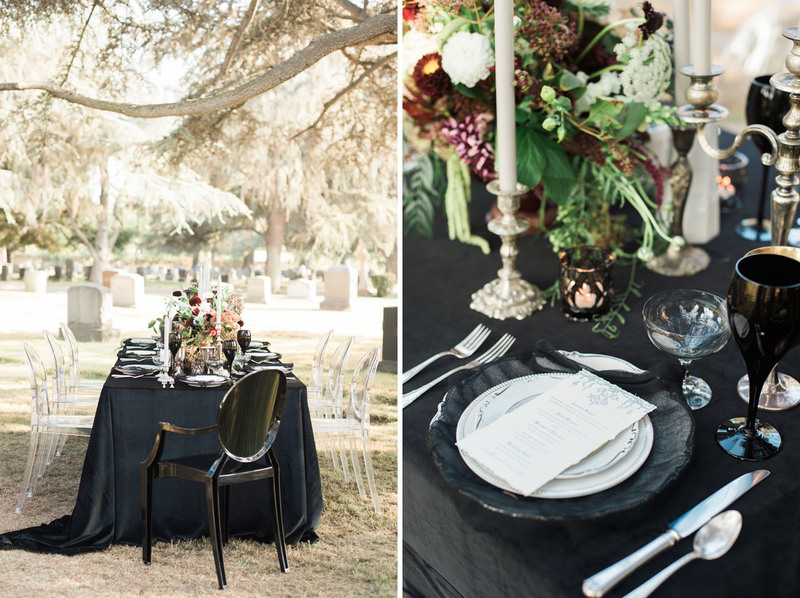 We’re majorly crushing on this whole set up… And those ghost chairs from A1 Rentals!! 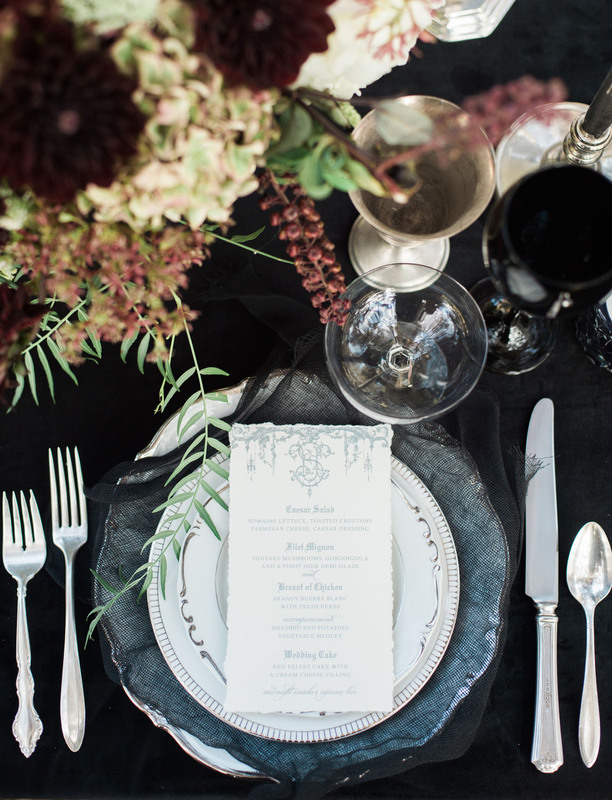 Oh and all the pretty tableware? 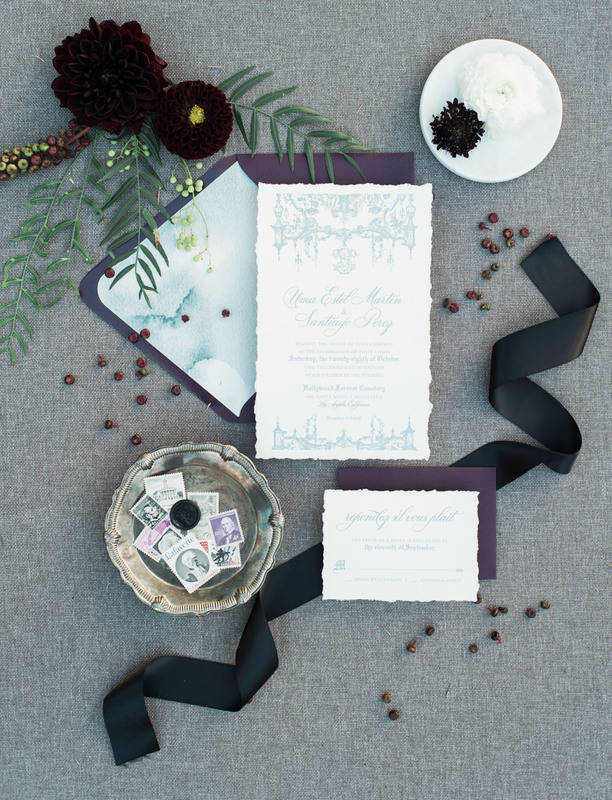 It’s from Laura Clausen at Dish Wish. 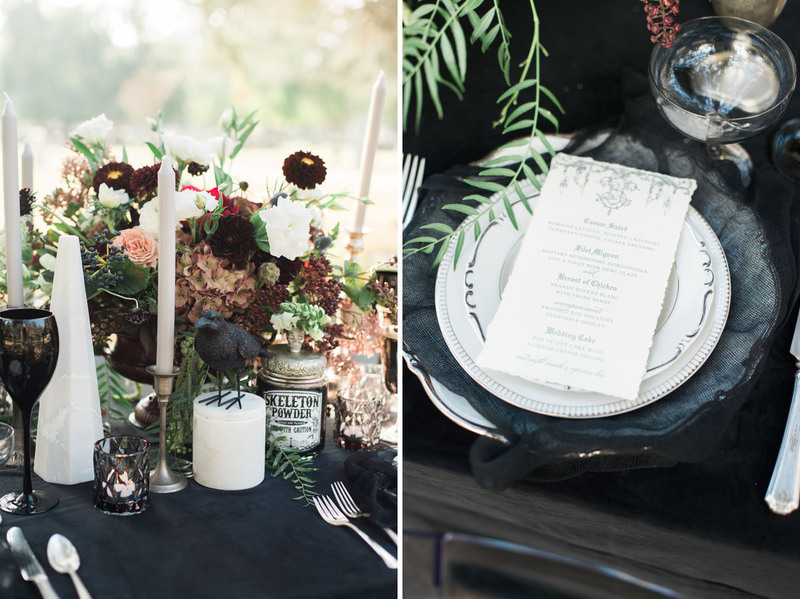 This menu by Jasmin Michelle Designs!! 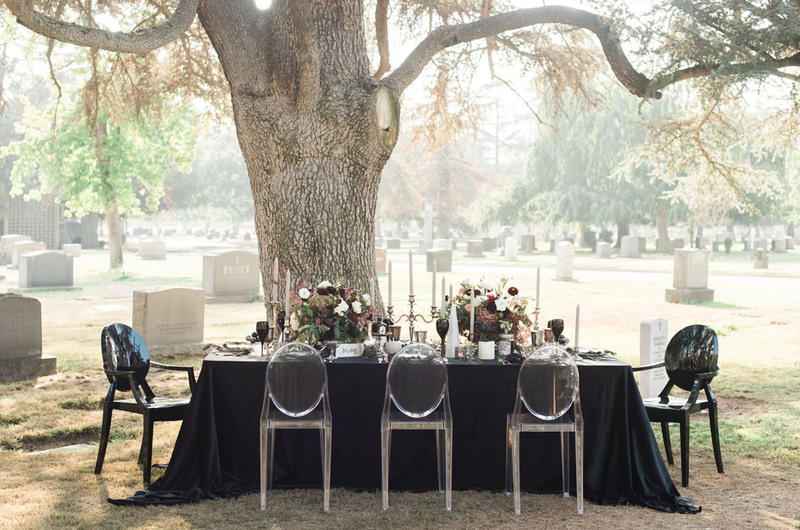 Elegant, vintage and a tad spooky… So cool! 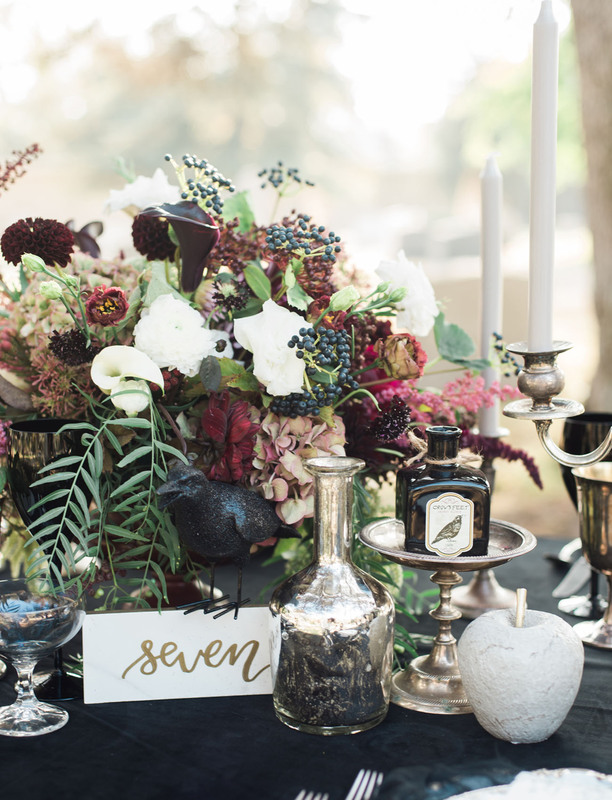 We love a good dark cake decorated with florals! 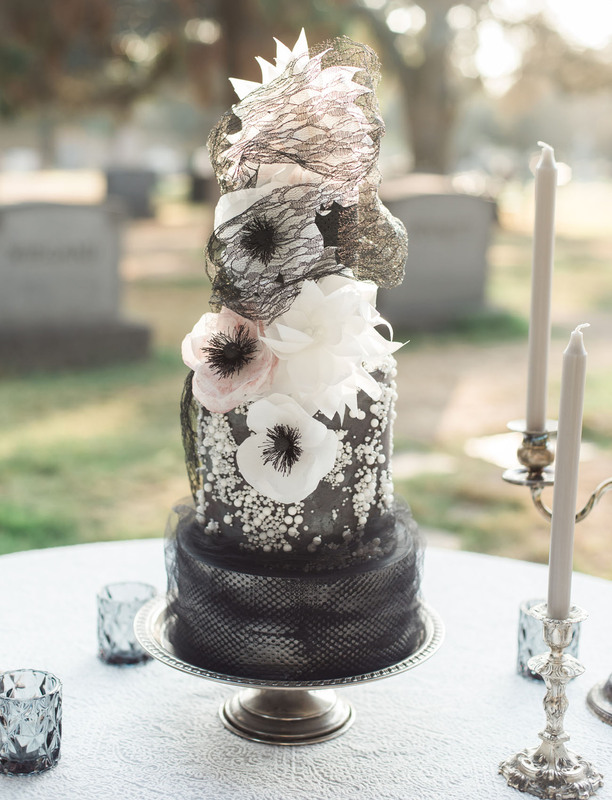 This delicious piece was made by Rooney Girls Bake Shop. 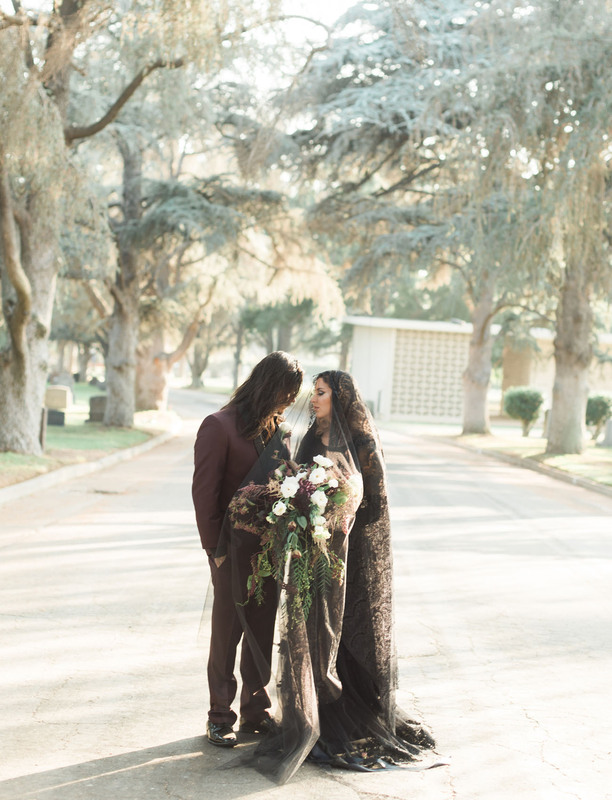 We LOVE how the switch up from the dark gown to this divine dress from Panache Bridal Costa Mesa/Beverly Hills… Such a good contrast! 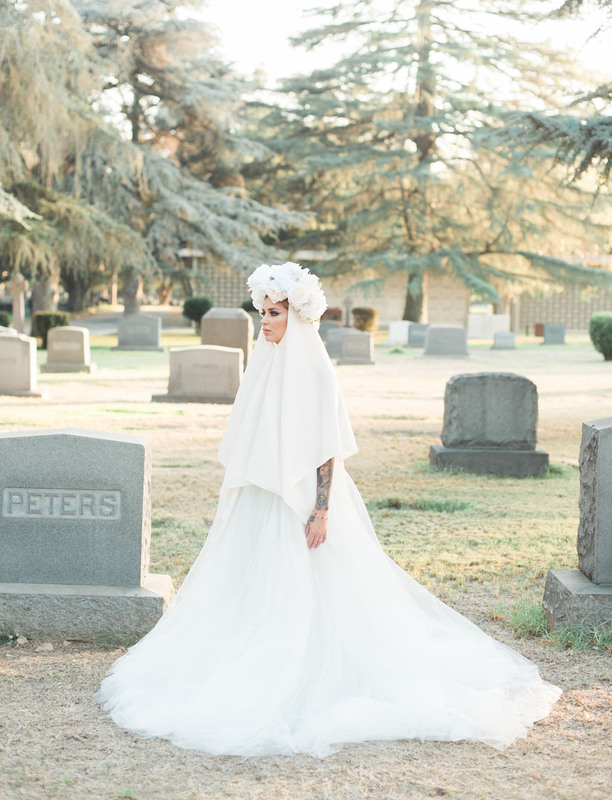 How angelic is this last shot?! 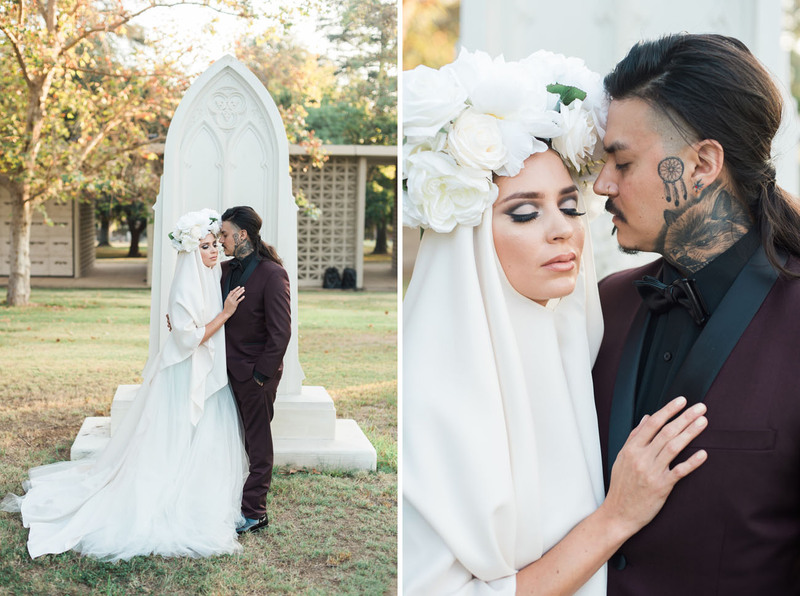 So, so beautiful. 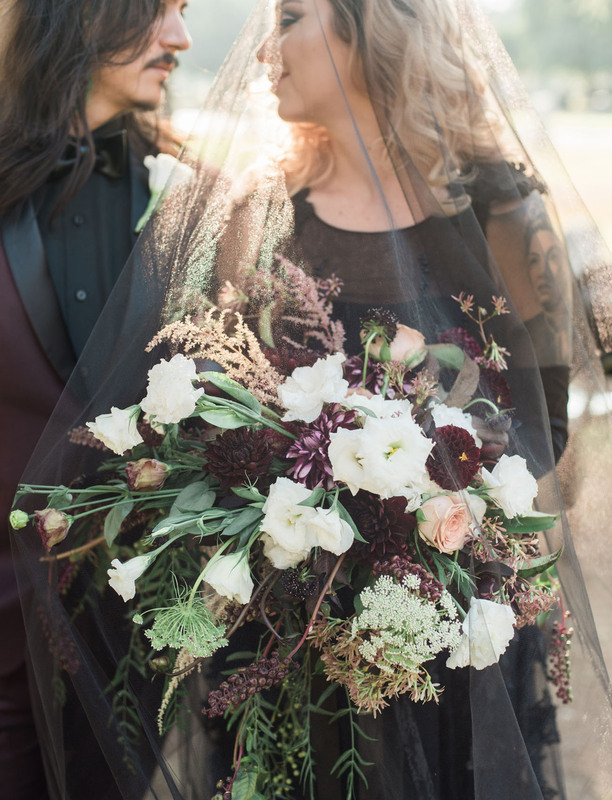 Thank you to the dream team behind this!